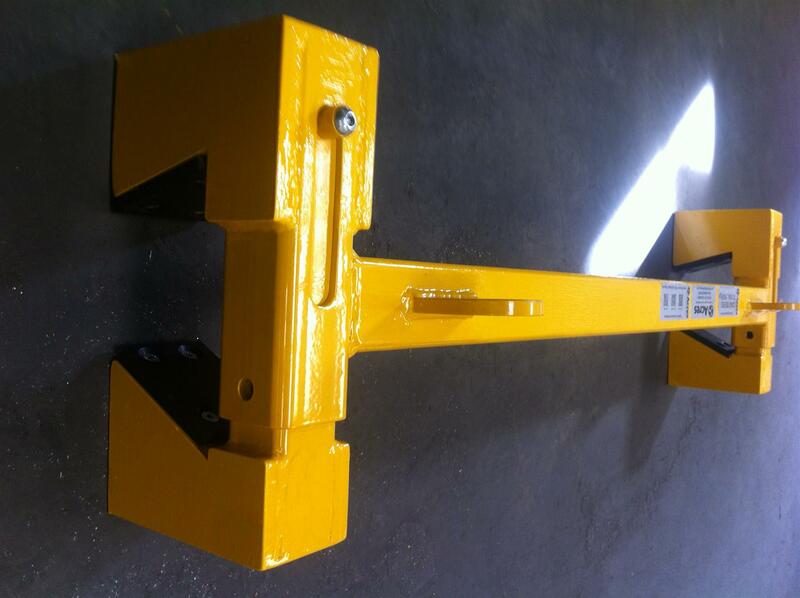 The Lifting frame will have 2 off adjustable clamp sections fixed together with a central lifting spar with fittings for lifting chains. Each clamp section will have a nylon machined block reinforced with mild steel brackets, these will fit clamp around the tapered section of the pole assembly and be moved in and out by winding a hand wheel connected to a trapezoidal tread. Approximate overall size 1200mm (L) x 450mm (H) x 300 – 500mm (W).